Swiss pilots Bertrand Piccard and André Borschberg took turns flying the single-seat aircraft that began its trip on March 9 of 2015, flying more than 26,700 miles in a total of 17 stages (23 days) as they soared under the sun's power and then glided through the night. "This is not only a first in the history of aviation; it's before all a first in the history of energy," Piccard said. "I'm sure that within 10 years we'll see electric airplanes transporting 50 passengers on short to medium haul flights." "But it's not enough," Piccard added, saying that the solar technology that powered his plane can also be used on the ground to cut emissions in half. 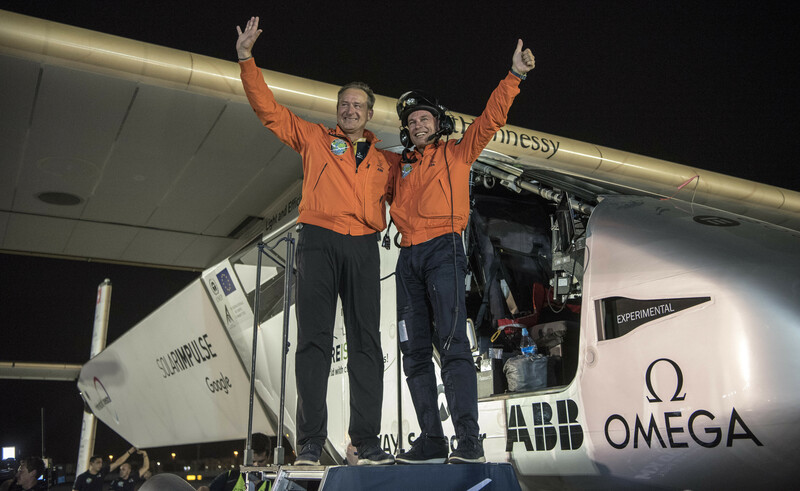 The journey earned numerous records, including the trans-Pacific leg flown by Borschberg that took five days and nights, setting a mark for the longest solo flight in any airplane, according to the team behind Solar Impulse. 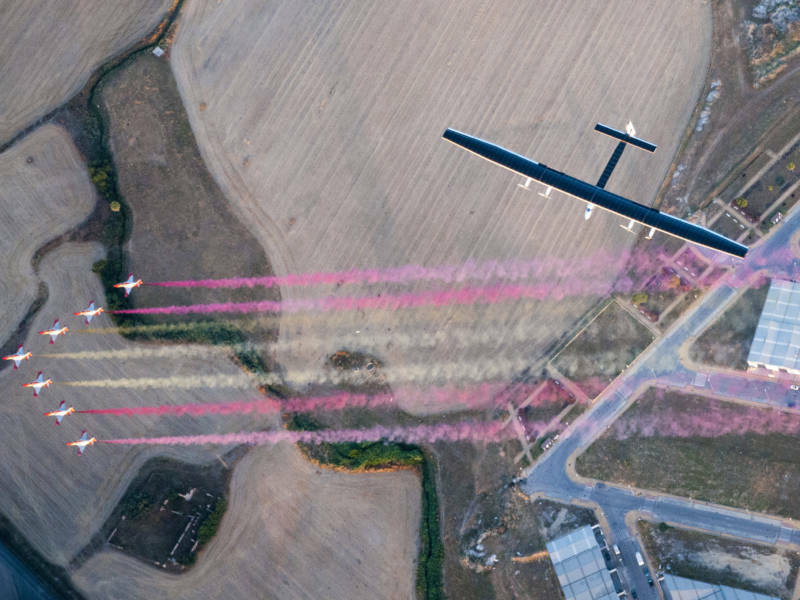 As Merrit reported for the Two-Way, when Solar Impulse embarked on its final leg, organizers called it one of the most complex they'd undertaken, citing high temperatures on the ground, strong thermal currents and no-fly zones. The plane and its crew also coped with challenging trans-oceanic flights, crossing the Pacific in two stages (including a stop for repairs in Hawaii) and crossing the Atlantic in 71 hours.